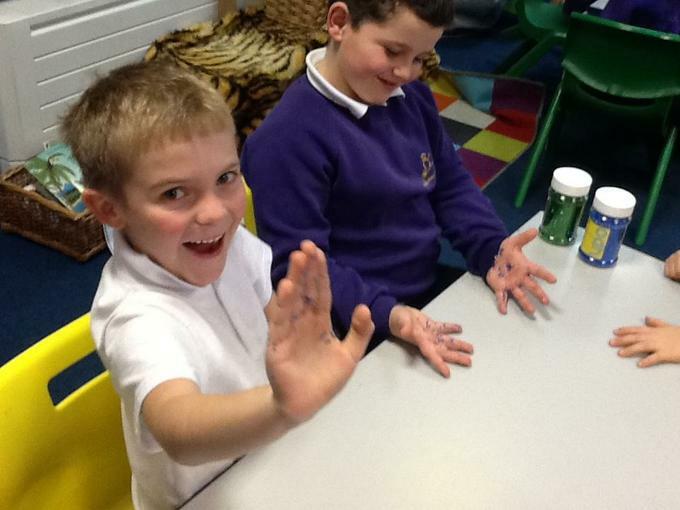 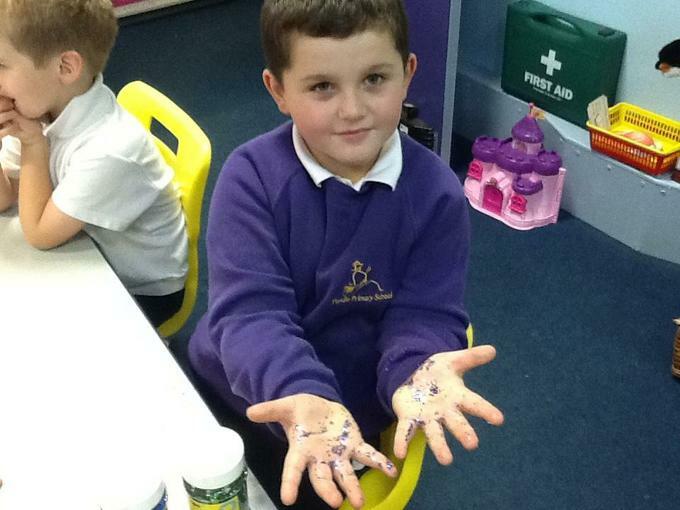 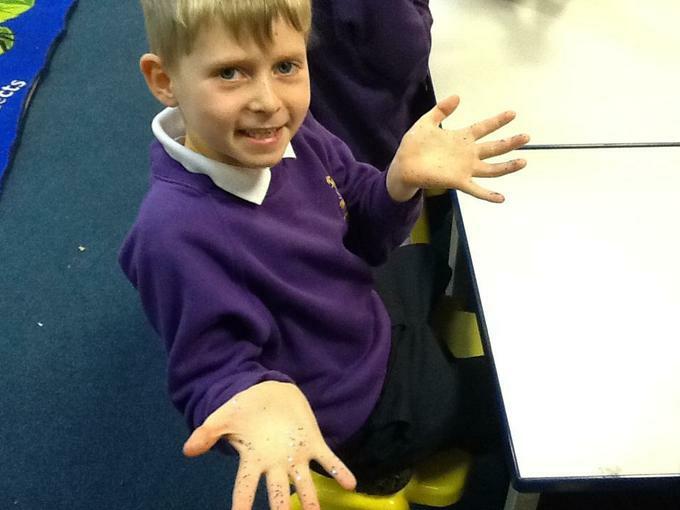 We learnt about how germs can spread easily by using glitter to represent the germs. 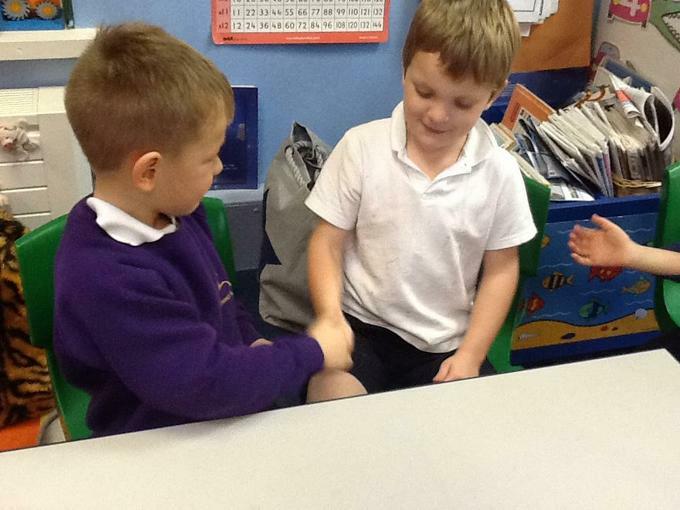 We shook hands around the table which showed clearly how the germs could be passed on! 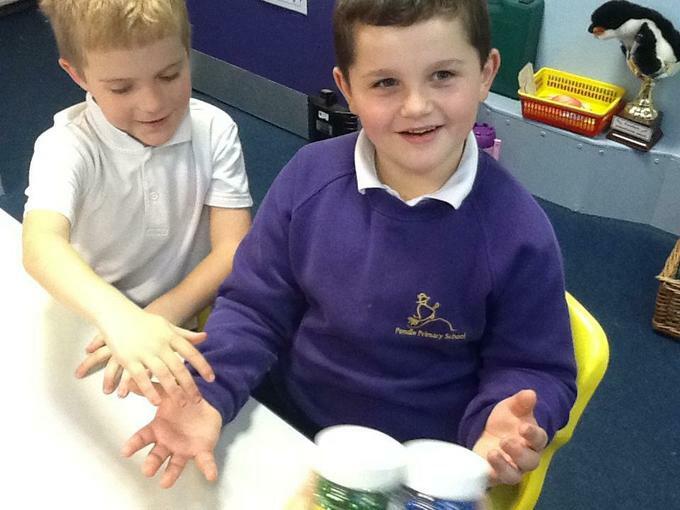 Each table then took part in an experiment. 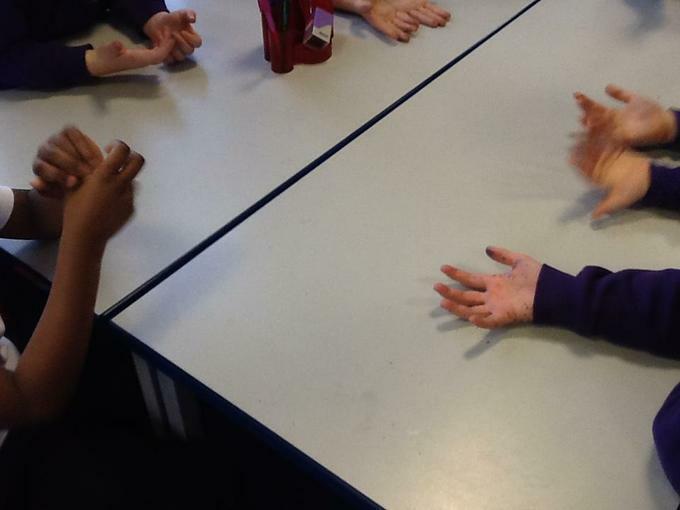 Table 1 just used cold water to wash their hands, table 2 just used soap, table 3 used hot water and soap and table 4 used a paper towel. 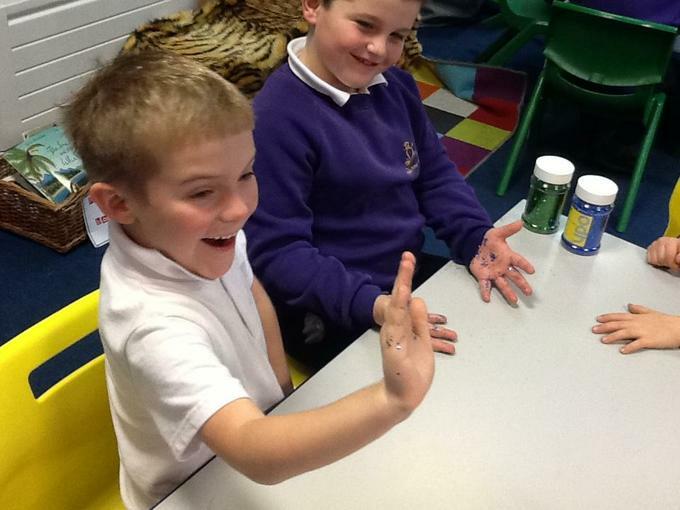 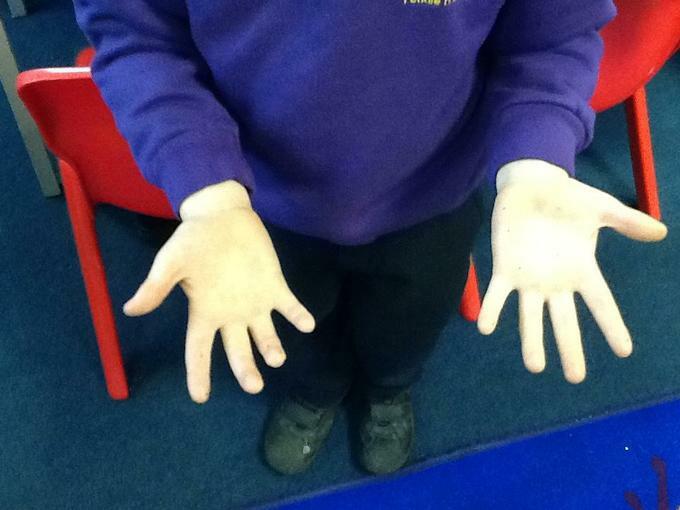 We understood that using hot water and soap cleared all the germs (the glitter)! 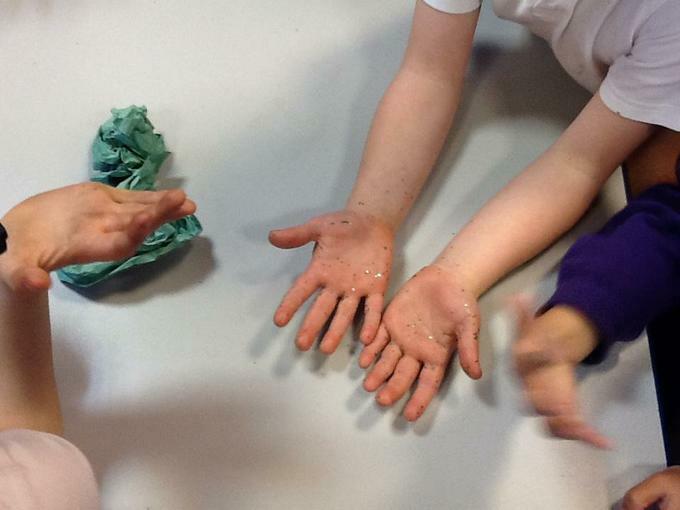 Wash them well, wash them well.